Some discreetly tapped on the forehead, they made it clear that these were not furniture. Yes, you could "build" something with it, but it was not furniture. Well, it's true: these are not furniture. These are flaps that can be joined turned into whatever you want, not traditional furniture [...]. [It] is like a uniform for an apartment, in which you can sew up buttons differently, or baste as you like. he beginnings of something that in a short time has become in Poland - and not only – a standard, ie segment furniture, known simply as "segments", was mentioned in this way by Bogusława Kowalska, their, together with her husband Czesław, co-creator. This type of furniture had its glory days in the 70s and 80s of the 20th century, but later it was only worse. Initially, they were seen as a unique opportunity to furnish a typical, small apartment in a block in such a way that gave each of them somewhat individual character, because that's what the “segment” furniture was all about. It soon turned out, however, that the furniture industry could not cope with technical requirements and simplified their construction, eliminating the possibility of composing furniture sets according to buyers' tastes. The other side was also not without fault, because the recipients turned out to be much more passive than the Kowalskis assumed, and they selected usually typical sets, setting them up in their apartments the same way as the others. In this way, the idea of the - as we would say today - modular system has lost its raison d'être, discredited by low quality, boring, uniform furniture present in most Polish apartments. But a modular construction is an extremely attractive concept, also from the electronics point of view, where it has been fully developed. It allows setting up systems of any components, which reminds me of the principle of LEGO bricks - though not entirely - so that on the one hand they can be specialized and on the other you can save money. Example? - Perversely, I will point out the furniture - an audio rack - the Modular by the Polish company Franc Audio Accessories, tested by us in March 2017 (No. 155). However, while in a professional audio is quite common technique, in the home audio is almost absent. Why? It is hard to say, but probably some part plays the audiophiles attachment to ready-made solutions. It may well be that we like to match, choose and change components, and the modular construction binds us with one producer, one idea, and one structure. Among the companies that have done it and are good at it I should mention above all: Meridian, Ch Precision and Accuphase. In terms of the concept, the device closest to the tested device is the latter. 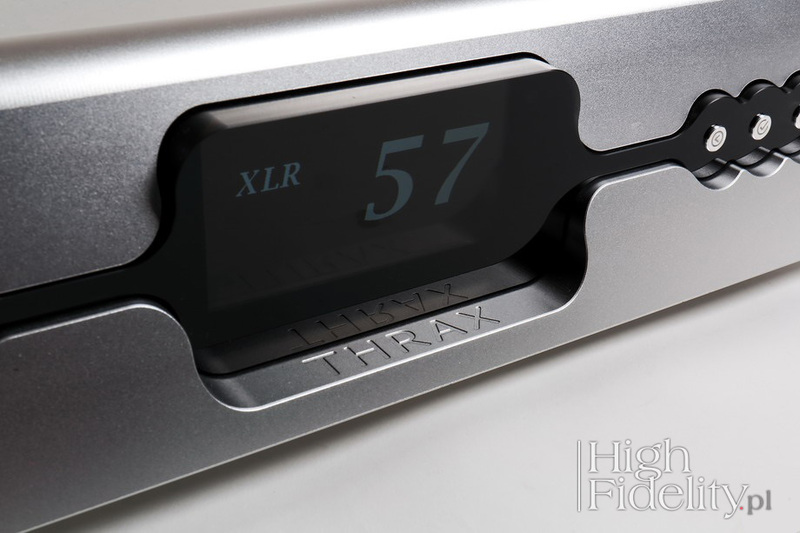 Both offer a basic module - an amplifier – plus interchangeable "cards" that can be installed, only in the Thrax case they are mounted inside, so they require a visit from the manufacturer's or distributor's service man, or the device has to be taken to an authorized dealer. Ares is the god of war in Greek mythology and the father of Thrax, who is the patron of Thrace – thus also of Bulgaria. He had more children, among them - according to some myths - a daughter, Enyo. Both - Ares and Enyo are associated with the war. But that's not the point, because the choice of names was probably due to their relationship with Thrax, the name of the whole company. I recall them, however, not by accident. Presented for the first time during the High End 2017 in Munich they are two sides of one coin. 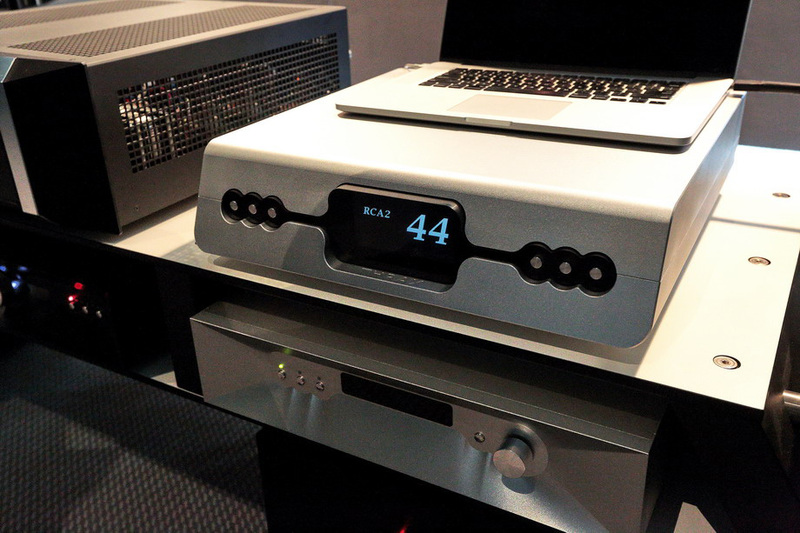 These are integrated amplifiers with the option of adding (also later) modules that expand their functionality - Ares is a solid-state device, and Enyo a tube one. In this way, the user has a choice from the start - he can adjust the basic segment to his system and requirements, and later its functionality can be expanded. The basic Ares module - because we focus on it - is an integrated amplifier, featuring four line inputs - one symmetrical XLR and three asymmetrical RCAs, capable of delivering up to 120 W at 8 Ω and 200 W at 4 Ω. It is a very heavy device made of milled aluminum blocks. 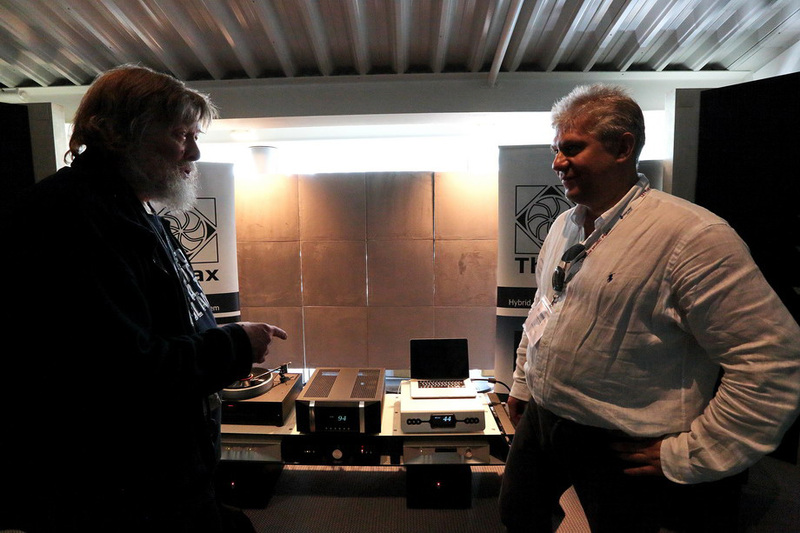 Thrax is really good at it and it is known that in their factory many European, Japanese and American top high-end devices - amplifiers, CD players and audio servers, turntables, DACs, tonearms, and so on, are built. The internal structure of the tested amplifier seems to be simple, just like the design of tube amplifiers featuring 300B, 211 and 845 triodes seems to be simple (eg The internal structure of the tested amplifier seems to be simple, just like the construction of tube amplifiers based on the triodes 300B, 211 and 845 seems to be simple (e.g. Kondo OnGaku). The preamplifier section is passive, discrete, based on separate resistors switched by relays. This gives a fantastic simplification of the signal path, because there are always only two resistors in the signal's path: serial and parallel. The signal prepared in this way goes to separate output stages integrated with their power supplies. Although it looks simple, such - and not only - solutions make it a unique amplifier. The output stages look “classic” at first glance, it is a AB class design working in push-pull mode. However, the controlling circuit for power transistors is company's own solution. The company has previously practiced this type of connection in large hybrid amplifiers: the control section is a single-ended one and is supposed to simulate A-class operation, but without excessive heat production. As it reads in the company materials, it is an "exotic" transconductance, ie current, system - Rumen Atarski, Thrax's CEO, confirms this in the text below. It is characterized by the coefficient of transmittance (instead of gain), i.e. the ratio of the output current to the input voltage. And indeed, it is not often found in other devices, although we have seen earlier such systems, for example in the B.M.C. preamplifier. 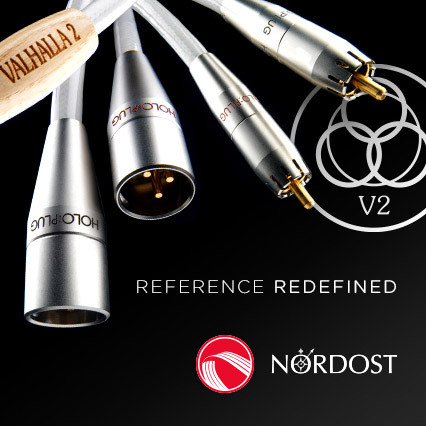 Much more often it is used in power amplifiers - see Tenor Audio, Audia Flight and others. Let add that each output stage's power supply features a large toroidal transformer. For this review we have receive such a basic version. Rumen Atarski (on the right) talking to Chief Editor of „HIFICRITIC”, Mr Paul Messenger. Behind them you can see both new amplifiers – Enyo on the left and Ares on the right. Photo taken during High End Show 2017 in Munich. The ARES power amplifier module has been in development for over 5 years. We did multiple solid-state "experiments" and found most to be not worth the effort. Class A operation and no global feedback sounded a lot better but the heat generated was too much, so the challenge was to keep the sound quality and get rid of the heath. We researched Japanese designs from the 70's and 80's using non switching class AB amplifiers. They were calling them with all kind of trade names like super Class A, Class AA and many others all with the same goal of keeping the output devices constantly on. At the end of the day we found out that non of them deliver what they promise. In this moment we gave up on the complete concept and called it quits for a while until I came across and interesting article about how closely transistors track an exponential function over very wide signal amplitudes. This gave us an idea about a new biasing method that keeps a minimal current trough the output device no matter the voltage and current swing. An engineer dedicated for a year on the project got it stable and scalable, so now this is our own tech. I just have to come up with some weird name for it. The amplifier topology is a push-pull output buffer with the above mentioned bias arrangement. As buffer means no gain the preceding stage is yet another buffer again with no gain. This one is needed to stop any possible interaction between the output stage and the voltage amplifier, but this one is different, it is a single ended class A job with liquid sound. The voltage gain is done with an Opamp at the input of the circuit. These 3 parts operate totally independent of each other. The whole lot is DC coupled. Sonically I am happy as we have achieved the grain free texture of good tubes with some solid state specific punch. Anyway this is only about the amplifier module. The other interesting bit is the Digital board. It was designed from scratch for this project. It is a piece of work on it's own. As any DAC it has SPDIF/AES and TOSLINK inputs but those are of not much interest these days. We added a Bluetooth 4.2 AptxHD, XMOS USB with DSD support and a streaming module from a company in Korea offering support for Roon, Tidal and MQA as well as DLNA and AirPort. The input board takes all those incoming signals and depending on the user choice applies filtering, dithering, re-sampling, format conversion and re-clocking in order to supply the audio data to a DAC module siting on top. Ares premiere during High End Show 2017 in Munich. The DAC module is a differential implementation of an r2r industrial chip. It also accommodates the clocking for all of the above. This way we have all devices operating from the same clock as slaves (except AES/SPDIF/Toslink) assuring jitter free data transfer and conversion. The core on the input board is configured via software to supply the DAC with correct data rate and format for the specific DAC used. So as an example if you feed DSD signal via the USB input it will be processed and converted to PCM to supply the r2r dac chips. There are a bunch of hidden features for the future as well. We had to draw the line somewhere as this is intended to be affordable :-) The board being too complex proved that software and deadlines are incompatible, so we will start delivery of the digital boards end of this month. 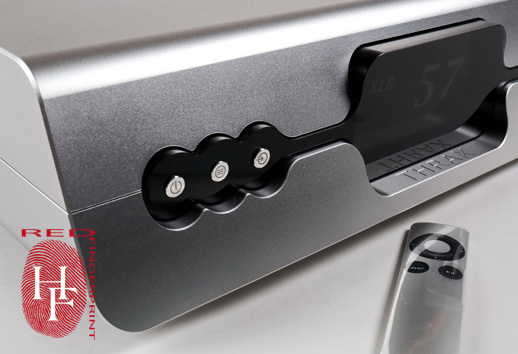 While expanding Ares' functionality, we have three options, classic ones for the end of the second decade of the 21st century: the MM / MC phono preamplifier and the digital-analog converter, and once we have the latter, we can also add an audio file player (streamer). Both modules are actually full-fledged systems. After they are integrated with the device, the functions available for them appear in the menu on the large TFT color display. Only the headphone amplifier is missing to complete the system. As this is an integrated and it is not supposed to be used with a Kondo Io cartridge with 0.1mV output we designed the input around another TI opamp the opa211. We vary the gain and the loading by switching resistors around it. Then the second stage is the RIAA correction using another opamp (not to be disclosed device) implemented half as passive filtering and half in the feedback loop of the second opamp. All this was carefully planed to keep maximum headroom for the signal. Then we have a balanced output buffer feeding the attenuator and a servo making sure no DC disturbs the power amps (remember we are all DC coupled here). The whole board slots on the attenuator converting RCA1 input to Phono and opening up additional menu for MM/MC selection. Standard loading is 300Ohm/ 62db for the MC and 47kOhm/40db for the MM setting. We expect this to be used with turntables in the 3-6kEuor so most popular low cost cartridges are Denon and Audio technica offering some very good MM cartridges as well. The DAC module is a differential implementation of an r2r industrial chip that we know from DA0 3.0, as well as from Thrax own DAC, Maximus. There are several user-selectable filters and upsampling options. It features two electrical S/PDIF inputs, accepting PCM signal up to 24 bis and 384 kHz, an AES/EBU and Toslink both capable of accepting signal up to 24/192, and also – as an option – USB input. After adding streamer module we can play files from external UpnP compatible NAS. It is also compatible with Tidal (MQA) and Roon and Bluetooth BT4.0. The amplifier can be controlled either by means of buttons on the front panel or by a small, nice Apple Remote. 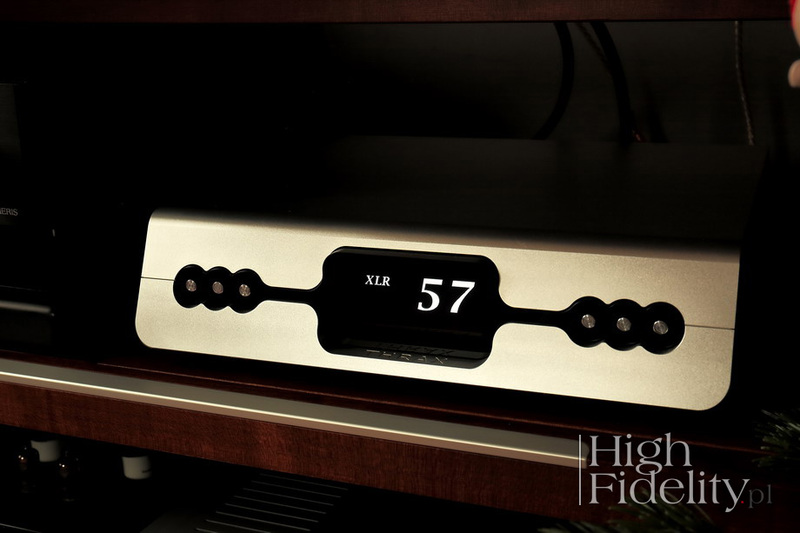 The buttons on the amplifier are integrated in black acrylic plate, which also covers the mentioned display. Actually these are not really buttons, but sensors, because it's enough to touch them to trigger a reaction. The display is excellent and is a response to the needs of music lovers in their forties, because the letters and numbers are really big on it. With no modules installed, we can read the volume level and the selected input on it, and in the menu we will be able to adjust balance and access the "learning" mode of the remote control. The volume level is controlled via two buttons - I will stick to that name - with horizontal arrows, which is a different solution than used usually. It will take some time for you to get used to changing the inputs - first, you touch the arrow button, the name of the selected input appears at the bottom of the display, and then you confirm the selection with another button. Therefore, it will be much easier to control it using remote control. This one can "learn" commands, i.e. you can assign them to specific buttons. In the unit we received for the test the standby mode was hidden under the start / pause button. The Thrax Audio amplifier was tested in the „High Fidelity” reference system and compared to Ayon Audio Spheris III preamplifier and Soulution 710 power amp. Both drove Harbeth 40.1 loudspeakers placed on Acoustic Revive Custom stands made for me by Mr Ken Ishiguro. In both cases I used Acoustic Revive SPC-3.0 Triple-C speaker cables. For this test I used two digital sources: Ayon Audio CD-35 HF Edition, powered with Siltech Triple Crown Power, and Lumïn T1 powered with Acoustic Revive Power Reference Triple-C. Signal from Ayon was sent to amplifier using Siltech Triple Crown RCA interconnect, and from Lumin with Acoustic Revive RCA-1.5 Triple-C FM. The Ares was powered using Acoustic Revive Power Reference Triple-C with RAS-14 Triple-C filter. It was an A/B comparison with A and B known. Since switching speakers cables from one amp to the other took some time I listened to four tracks in a row on one and then switched to the other.